1. On the Mailchimp Menu, Click on Campaigns. 2. On the Campaigns page, Click on Create Campaign. 3. You will then see the new option for Create a Landing Page listed, click on it. 4. Choose either Signup Page or Product page. This is at the top. By default it is on Signup Page. A signup page will come with a form connected to your list. A product page will come with the product block which will enable you to promote any of your products. For this to work, you must have connected your store like I showed you in the Mailchimp Course . 5. Give your landing page a name. Give it a name that will be identifiable to you among your campaign lists. 6. On the landing page Tab, if you chose Signup Page, then Select a list . If you chose Product page, then Select a store you have already connected with Mailchimp. 8. Design the content of your Landing Page. Add all the blocks you will need to add on your page. 9. Click Preview in the upper-right corner to see what your page will look like. 10. After you’ve designed your content, click Save and Continue. 11. Click Add Page Title & URL. Then Type the page title your contacts will see in their browser tab and in the URL for your page, and click Save. 12. Click Edit to further customize the URL for your page. The URL will not be editable once you publish your Landing page. All other elements will e editable later though. 13. Click Publish to take your Landing page live. Once you publish it, there will be a URL for you to copy and share with all your followers on Social Media or your Email Lists. You must share the link if you want people to see the page. 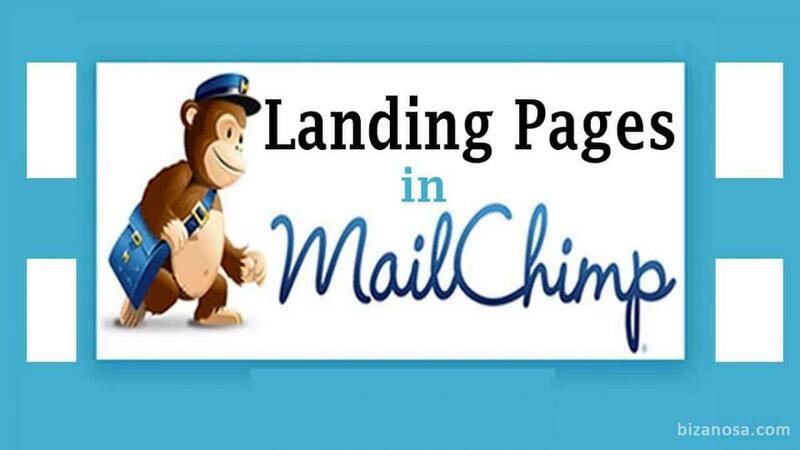 You can add it on your website and when people click on it, it will take them to the Landing page on Mailchimp. All your published Landing Pages will be listed on your Campaigns page. Landing Pages are new on Mailchimp. They are still being developed and improved. However, since you know how to use the Mailchimp Template Editor, you may design it in any way you desire. Be creative with it! PS: OF COURSE, I will be creating a video detailing this process. As soon as I do, I will let you know. I will also embed the video here once I upload it publicly.